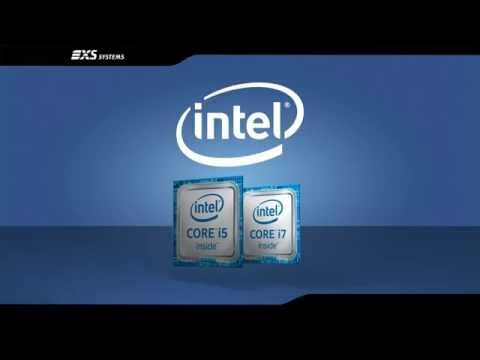 Take control with the 6th Generation Intel® Core™ processors codenamed "Skylake-S". The i7 6700K is the flagship processor of the Skylake-S line-up that features exceptional performance that is increased by up to 22% and offers 6x faster storage bandwidth for quicker media access, all this means for an all-round more responsive PC. 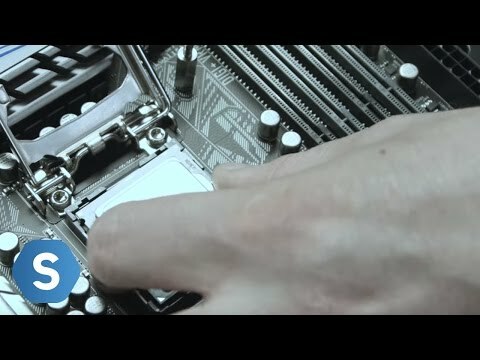 The 'K' prefix shows that this CPU is Unlocked and has overclocking enabled this is great news for extreme gamers and enthusiasts. Improved overclocking is supported on the 6700K when in conjunction with Z170 chipsets only, it uses the BCLK (base clock) overclocking feature. The Intel® Core™ i7 6700K boasts a 3.5 GHz base frequency and 3.9 GHz turbo frequency, the processor is also built on a 14 nm process, with a 91 W maximum TDP. The chip is a Quad-Core design with 4 threads. Integrated into the processor is Intel® HD Graphics 530 which delivers mainstream-level graphics with discrete-level performance and has full support for DirectX 12 API. Intel's 6700K is fully unlocked allowing you to tune performance and obtain higher frequencies when used with Intel 100 series chipsets. Previous generation Intel processors such as the Intel® Core™ i7-4790K processor used DDR3 memory, typically running at 1600 or 2133MHz. The Core i7 6700K has an enhanced memory controller that supports DDR4 memory, giving you a very healthy performance boost over DDR3. Intel® Core™ i7 is a brand name applies to several families of desktop and laptops, The Core™ i7 brand targets the business and high-end consumer markets for both desktop and laptop computers, and is distinguished from the enty-level Core™ i3 and the more mainstream Core™ i5. Intel® HD Graphics 530 can easily deliver an amazing visual experience in resolutions all the way up to Ultra HD 4K, so you can make the most of 4K displays. The Intel® Core™ i7 6700K also has support for the latest graphics APIs such as DirectX 12, this means that you will be able to run mainstream games and apps up to 2x better graphics than previous generation processors. Intel's on-board graphics processor is up to 28% faster than previous generation GPUs. Visual quality and colour fidelity enhancements for HD playback and immersive web browsing. DDR4 Memory offers stunning read/write performance through efficient prefetching algorithms, lower latency, and higher memory bandwidth. Offers improved manageability by limiting downtime and maintaining productivity by isolating computing activities into separate partitions. Advanced Encryption Standard Instructions engine for a variety of encryption apps, whole disk encryption, file storage encryption, internet security, and VoIP. increases periods of silicon sleep state across the platform ingredients, including the CPU, chipset, and third-party system components, to reduce power. On select products, CPU / graphics and memory can be run at frequencies above the rated frequency of the part resulting in higher performance. Security hardware-based random number generator that can be used for generating high-quality keys for cryptographic (encryption and decryption) protocols. TSX-NI is a set of instructions focused on enterprise-level multi-threaded performance scaling, making parallel operations more efficient. AVX 2.0 has new optimized instructions to deliver enhanced performance on floating point–intensive apps. A hardware-based security feature that protects the OS (operating system) kernel. OS Guard helps prevent use of malicious data or attack code. Protect your one-time-password (OTP) credentials and PKI certificates and add a layer of encrypted second factor authentication for online transactions. Does not contain conflict minerals that directly or indirectly finance or benefit armed groups in the Democratic Republic of the Congo (DRC) or adjoining countries. Intel generally follows a tick-tock philosophy for new processor launches. The tick represents a shrinking of the manufacturing process - 32nm to 22nm, for example - while the tock is indicative of a new architecture based on the leading process of that time. This has been the case since 2007.